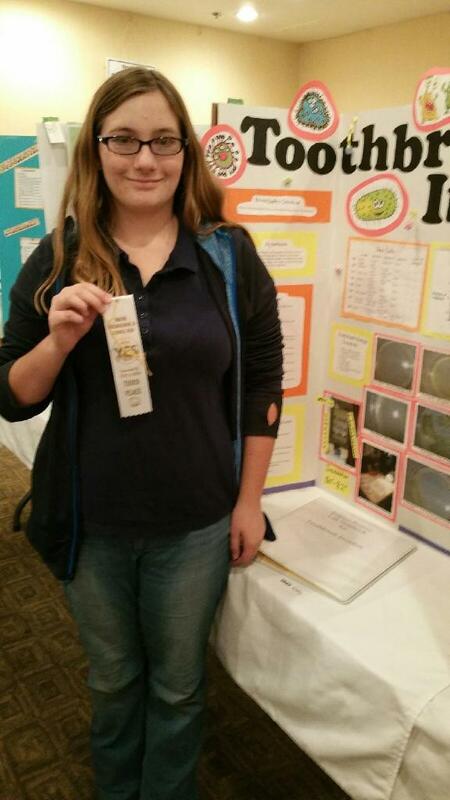 Winner Macayla Fetting displays her third place ribbon in front of her project board. CAS is excited to announce that two CAS students have placed in the county’s annual Youth and Engineering Science Fair (YES Fair) for their science fair projects which were submitted for judging on Monday, March 23rd, 2015. Ethan Johnson, 7th grade, was awarded first place in the category of Energy and Engineering for his project “Get Wired” which analyzed alternative sources of electricity. Macayla Fetting, 7th grade, earned third place in the category of Biological Science for her project “Toothbrush Invaders” which answered a household dilemma of the best location to minimize bacterial growth. 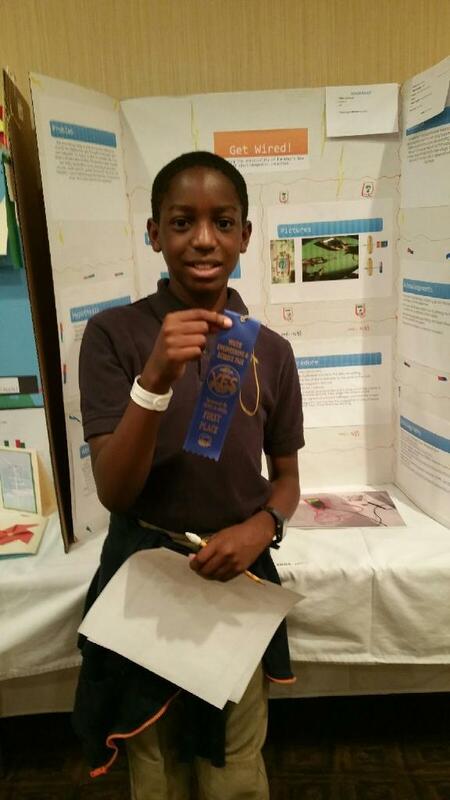 Ethan Johnson poses with his first place ribbon in front of his science fair board.